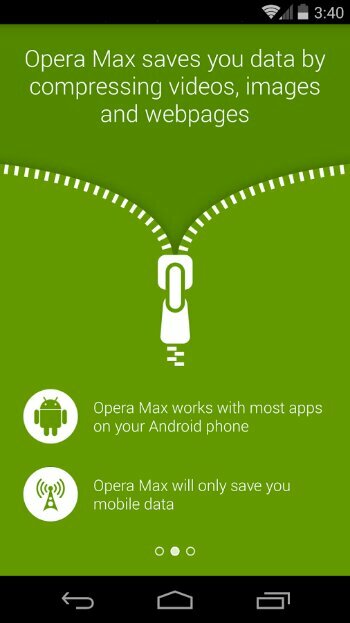 Opera Max For Android (Beta) is a free, powerful and easy-to-use app that saves you mobile data. You can get up to 50% data savings from compressing video, photos and text on almost every app on your phone and is helpful for those who have limited data plans, or low bandwidth. In addition, reports also say that it helps to reduce the load that comes in through heavy apps like Instagram, Vine amongst others. Google very recently launched an updated version of its Chrome app which promises to reduce data consumption by half for both the Android and the iOS platforms. The announcement was made in the middle of January this year. Right now, Opera is testing their capacity for data-savings properly before they roll it out worldwide. Invitations to the app will come on a first-come, first-served basis as there Blog says. So just download this app to reserve your place in line coz They’ll be starting giving the early birds access in a few days. 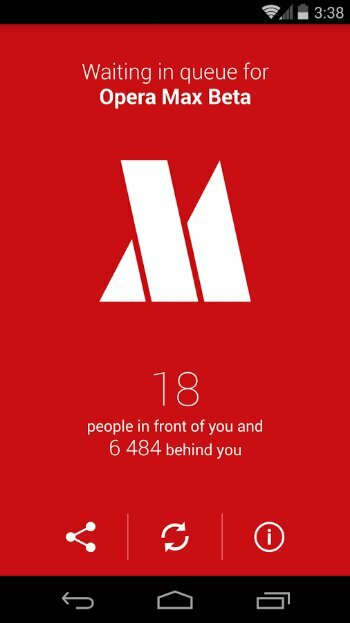 Currently the Opera Max app is available on the Google Play store, but only for Android users in West Europe and the US as of now.